Tax preparation time usually brings with it questions about what is deductible, how do I report this income, and what can I do to save on my taxes in the future. Fortunately for woodland owners, there are several excellent resources available to help you find some guidance. 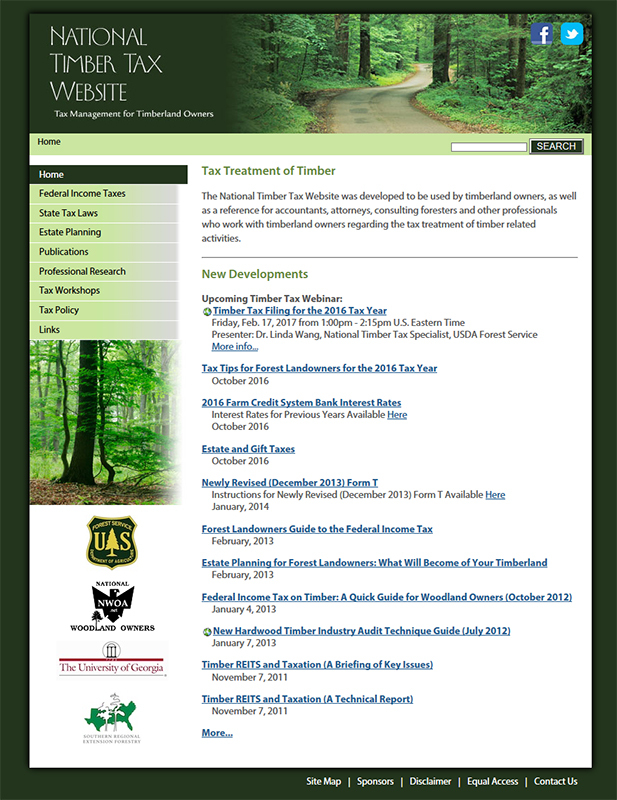 A national site addressing tax issues for woodland owners is the National Timber Tax Website. This site provides updated tax tips for the 2016 filing year, as well as many guides and references to help you effectively plan a tax strategy for your property. Purdue Forestry and Natural Resources Extension offers some publications covering taxation issues for timber sales and tree planting. If you sold timber or planted trees for timber production last year, the references above may help you understand your options and possibly provide some tax savings. Familiarizing yourself with the special treatment timber sales and tree plantings, which may be given in the tax code, can also help you more effectively plan for future tax returns.